Allison, Bryan, Big Brother Mike all gather to talk to you about Big Brother 17. It’s been a big first week in the house and it isn’t slowing down yet, so let these 3 fools talk smack about their favorite reality show with you! Episode 247 : Big Brother 17 Week 1 : HOHs : Here We Go Again! It’s that time of year again! Summer has started and now has Big Brother! We’re back for the 17th American season of one of our favorite shows! Allison, Bryan, and yes, even Big Brother Mike is back to guide you through, as well as laugh with you about all the goings on this season! In this episode they discus meeting the cast as well as the first of many twists. Allison and Bryan get to interview a family that was on a recent episode of Animal Planet’s “My Cat From Hell”! Tom and Pola tell us all about working with Jackson Galaxy and being on the show has affected their kitty Percy! Pola & Tom are Polish Royalty & the Goat, check them out! Allison and Bryan sit down to share a brew and talk about their favorite authors and their favorite and least favorite books that those authors have written. But before all that is another cover song challenge for Allison which gets her to talking about her problems with most chick singers. Allison, Bryan, beers and talking about pop culture stuff they don’t get. They don’t understand why it’s a big deal, they don’t get how anyone could like it, they don’t get how it ever got so popular! Also, CM Punk and Record Store Day stories! 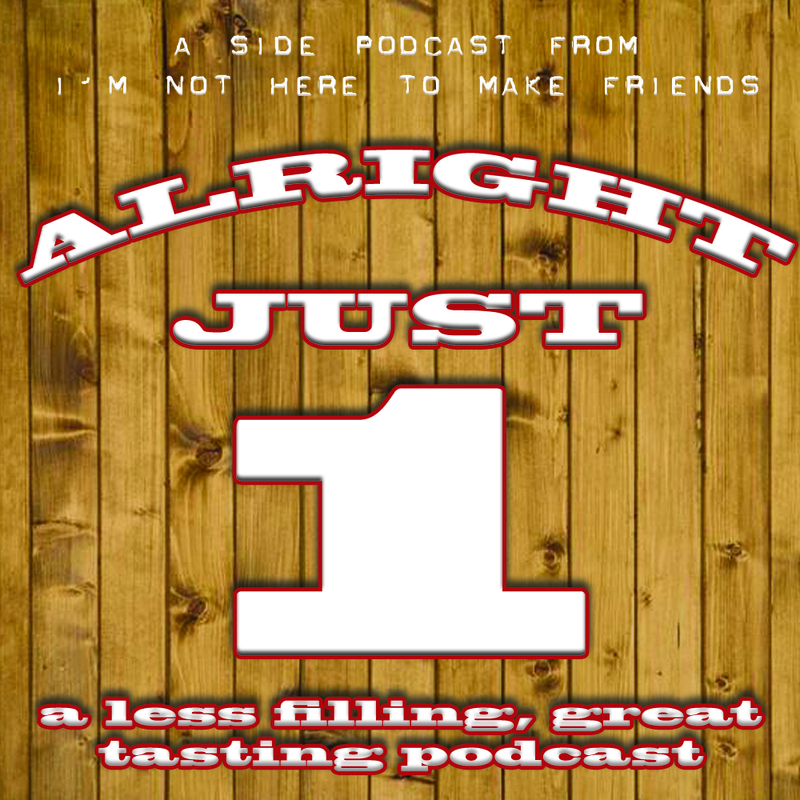 Alright, Just One : Episode 14 : What’s on Your DVR? Allison and Bryan sit down w/ a few drinks and talk about everything that is on their DVR and Netflix queue. Allison & Bryan are back on the booze for this episode where they talk about card and board games! Also, Bryan give Allison a quiz seeing how quickly she can guess punk rock & ska cover songs!